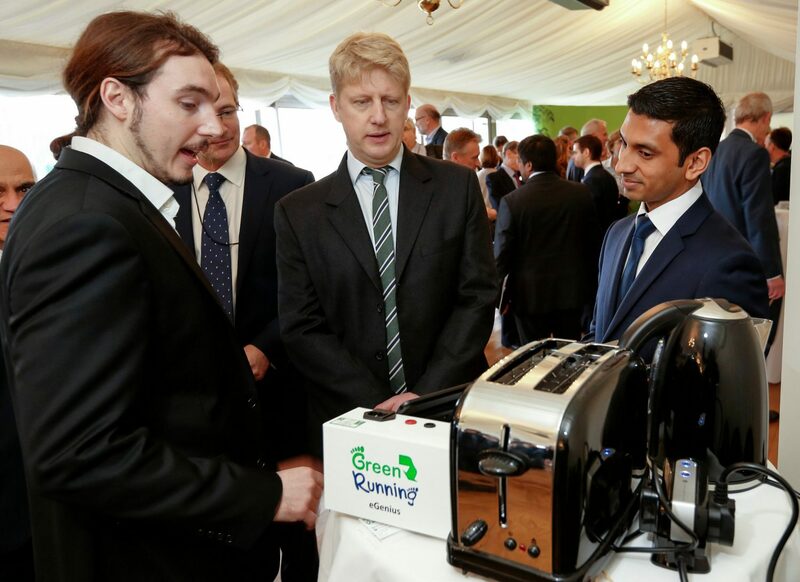 Picture above show Peter Davies, Green Running (left) meeting Jo Johnson MP, Minister of State for Universities and Science at SETsquared’s House of Commons reception. Over 40 corporate innovation leads have already registered SETsquared’s Open Innovation Showcase on 22 June, with delegates from Huawei, QinetiQ, Nationwide, Intesa Sanpaolo, Barclays, EDF Energy, Sony, IBM, Merck, KPMG and Grant Thornton and many more set to attend. With this year’s event is set to be better than ever, we caught up with two success stories from the last year’s Showcase. Led by CTO Peter Davies and founded in 2007, Green Running has designed a range of products to help monitor, analyse and manage energy consumption in homes and businesses, enabling people to make savings and lower their carbon footprint. 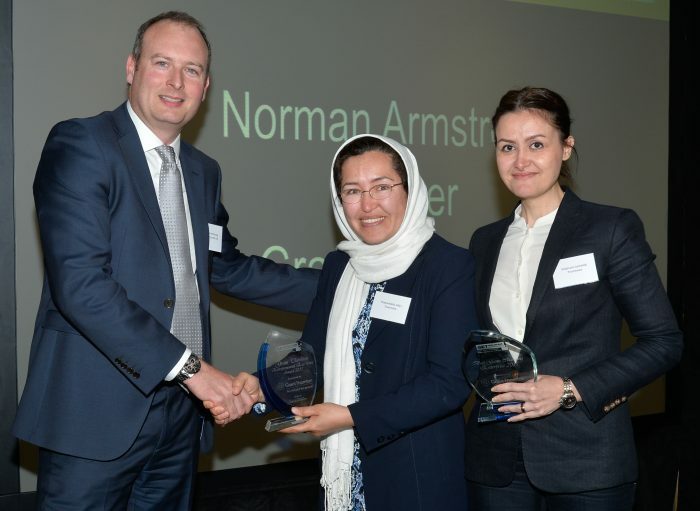 Following their attendance at SETsquared’s Showcase, Green Running secured £750K investment from Ignite, an enterprise investment fund backed by Centrica, owners of British Gas. Already well established in the commercial market, Green Running has provided its energy monitoring system to the likes of the Crowne Plaza Group, Jaguar Land Rover and Scottish Power Energy Networks. This investment will enable the company to focus now on the domestic market, with a full launch anticipated in 2016. SETsquared has helped Trueinvivo to get on the fast track for ‘true growth’. Led by Dr Shakardokht Jafari the medical device company has taken part in a number of SETsquared programmes designed to nurture and develop promising research with commercial potential. Trueinvivo is developing a medical device for quality assurance of radiation treatment received by cancer patients. The product is a non-invasive implant that penetrates the patient’s skin and helps target radiation therapy and reduce the number of healthy cells destroyed during treatment. Following the death of her father from cancer, Shakardokht decided to pursue a PhD in medical physics with the hope of being able to help other sufferers. Upon completing her PhD, she quickly realised that she would need to commercialise her research to make this happen. Her SETsquared journey then began when she took part in the Researcher to Innovator programme, an enterprise and innovation course for early stage researchers. This popular programme takes postdoctoral researchers with promising ideas and equips them with the skills and knowledge necessary to convert their ideas into commercial realities. The company ‘Trueinvivo’ was then born and the next step was for Shakardokht to take part in SETsquared’s ICURe Innovation to Commercialisaition programme, which is an intensive programme that offers participants £50k of funding to get out of the lab and validate their idea in the marketplace. The market research gained via the ICURe programme was invaluable, it established that there was a real need to the device but it had to provide a fast and affordable solution which led to refinements including real-time measurements. Trueinvivo now has a dedicated team of employees and an advisory panel and Shakardokht is currently preparing to travel to the US to take part in the Boston Kteams scheme; which will provide hands-on US market exploration. This was her prize for winning the Grant Thornton Entrepreneurial Excellence Award at the SETsquared 2015 Student Enterprise Awards.